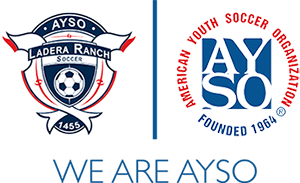 TEXT ALERTS: Text AYSO1455 to 84483 to opt in. **Please always practice proper preventive maintenance by avoiding any worn or wet areas. If you use goals for practice, you should always set them up on the sidelines to prevent wear on the grass. IMPORTANT: Cox Soccer 1 is an artificial turf field. It is always open subject to presence of lightning and thunder. Learn what to do in the presence of thunder and lightning…CLICK HERE.